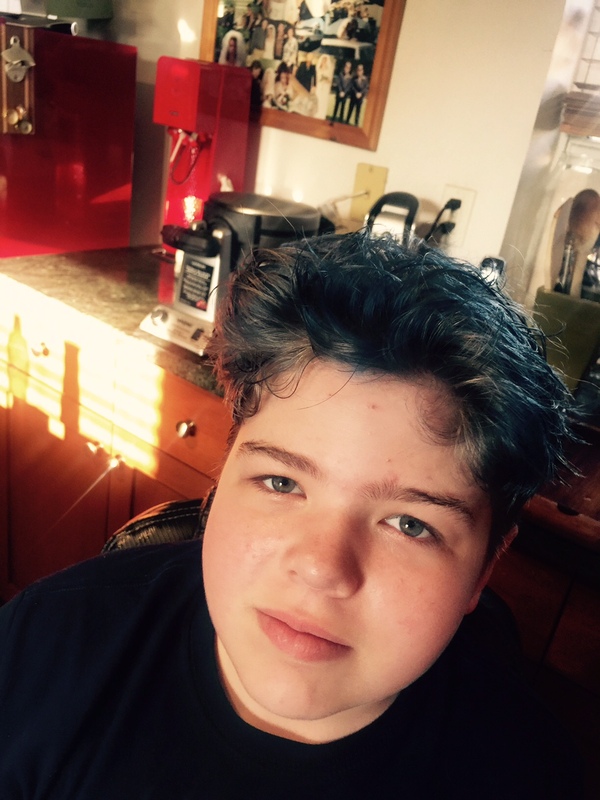 Feeling A Little Blue, Hair? Miss Gremlin is nothing if not individual. She’s awesome and so much fun. Her humour is great, she has a dry wit that has been cultivated for a long time and she’s wicked smart. Middle school is coming and she’s flexing her individuality even more. Not a girly girl, she wears loose fitting comfortable clothes which have not a bow or pink anywhere on them. She rocks short hair because who has time to care for thick flowing locks… Not her. Last night she asked if she could dye her hair blue. Now if she wants to start attending to appearance, who am I to say no. This is the kid that you have to chase into the shower with a big stick and THEN make her go back because she didn’t wash… The struggle is real. But last night, she wanted blue hair. 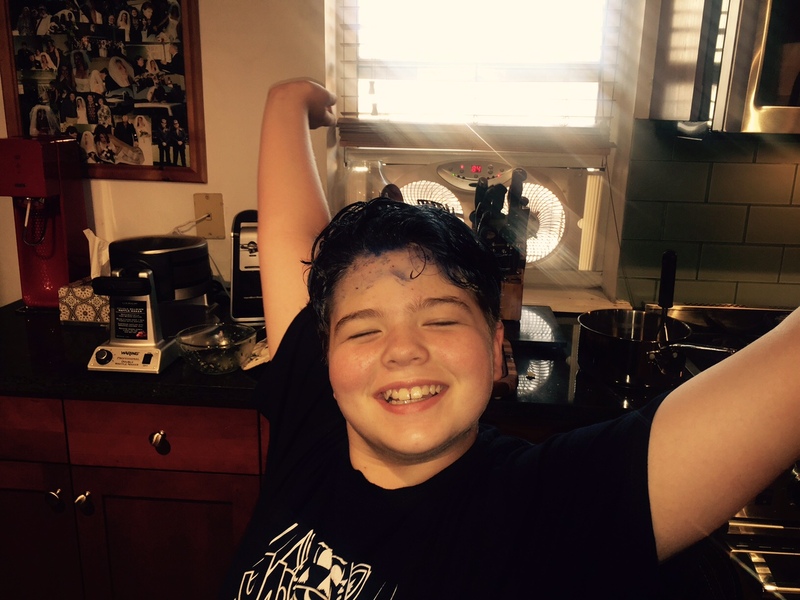 And so I did what all adolescent parents do…. 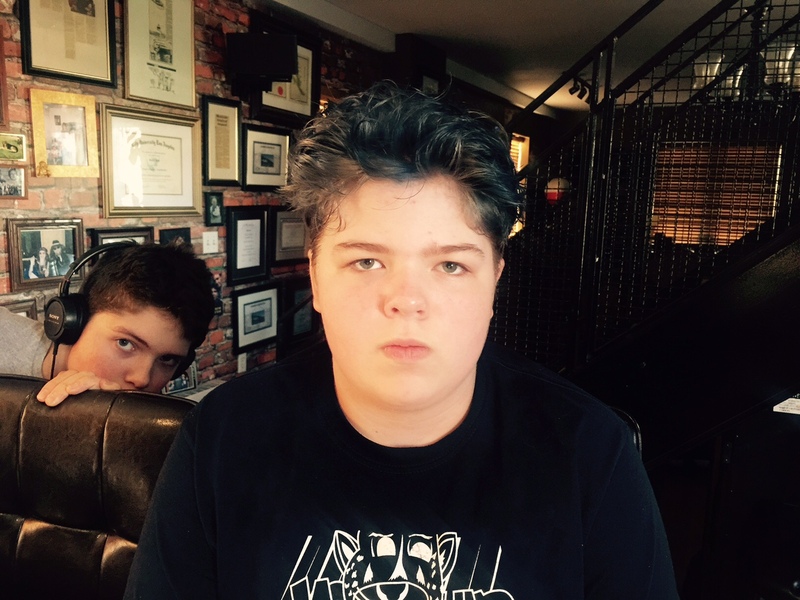 or not, I went and got some blue hair dye. And dyed her blue. 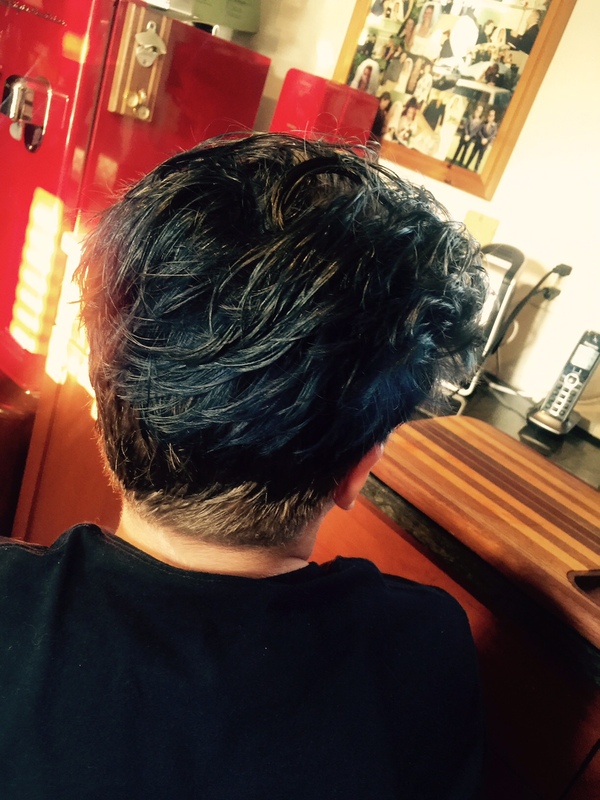 Having dabbled in permanent colours for many years I felt pretty confident in my abilities. I can do it again to get a darker result but we wanted to just make sure she liked it. I used splat but didn’t use the bleach part, just applied the colour straight to her blonde hair and only left it for 10 minutes. And then she asked me how to style it and we got out the dryer and some sculpting paste. This girl is ever full of surprises and I can’t wait to hear what her friends and teachers think! Just wait ’til she starts on the green and purple! 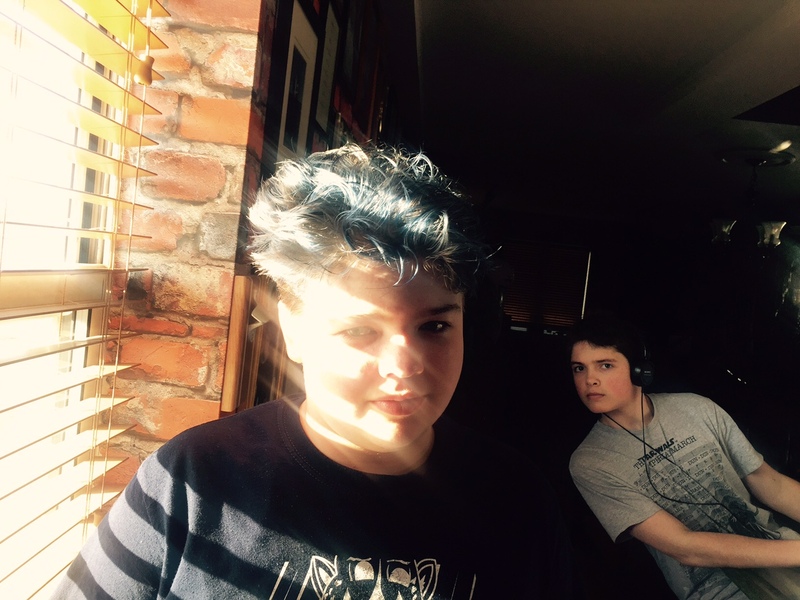 Does my brother’s photobomb make my hair look blue? It looks so cool! I went in for a root touchup the other day and told my stylist I wish I could do blue. But alas, I think I’m too old. But not too old for red. LOL You’re a cool mom, Moll. Keep kickin’ it!